Richard Kye Owusu a.k.a. Kwame Kye was born to Oheneba Emmanuel Kwame Owusu and Madam Mary Afua Mansah Yeboah, both of blessed memory, on January 2.1946 at Kraboa-Coaltar in the Eastern Region of Ghana. His Father was a very popular and successful businessman, trading in all kinds of goods. His Mother was also a trader. Richard was the first boy to be born in his Grandmother’s household. Before his birth, none of his Grandmother’s 6 daughters had a son so his Grandmother declared with joy; “Now I have a boy who will become the man to build my house after all those girls.” Richard was treated like royalty and his Grandmother often referred to him as the “King of her household.” His Father also treated him very special since he was born on his day of birth, Saturday. He named him Kwame Kye, after his own Father (Richard’s Grandfather) the late Ohene Kwame Kye. Richard was a very self-motivated child, always trying to learn something new. By the time he was school age he had learned his alphabets and numbers simply by tracing them on the boxes he gathered from his Father’s shop. The family moved from Kraboa-Coaltar to Accra, Ghana in 1952, just in time for Richard to start his education at The Salvation Army Elementary School in Accra as a 1st grader, and a shining star student. It was a joy to watch him go through elementary school as a very smart kid, excelling in all subjects. He continued middle school at the Adabraka Presbyterian School. He attended Acquinas Catholic Secondary before moving to the United States of America. 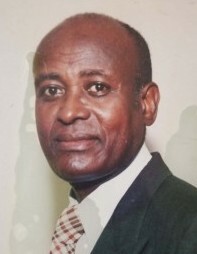 When Richard was 19 years old, his older brother Alexander Owusu, sponsored him to the United States in 1965. He lived with Alexander and his wife Mary for some time before moving out on his own. His brother Alexander, who valued education, took Richard to Cardozo High School in Northwest, Washington, DC and registered him there. Richard received his American High School Diploma. Richard continued his education at Howard University where he received his Bachelor of Science degree in Liberal Arts, December 18,1974. While in college, Richard worked as a desk clerk at night to help support himself. Richard’s dream was to become a Medical Doctor, but Richard had a new focus when he got married and became a father. He was blessed with two sons, Francis and Derrick Owusu. Richard was very dedicated to his family and worked hard to provide a living for them. Richard was blessed with three grandchildren; Hailey, Callie and Sean Owusu. In August of 2018, Richard fell sick and was hospitalized. He gained his wings on September 4, 2018. Richard is survived by many family and friends who will miss him dearly. Rest in Perfect Peace Richard Kye Owusu. We Love you so much!